Read our interview with three Chinese opera talents who will be performing at one of the festival's main highlights. 8 Feb. $38-$58. Traditional Nanyin music is presented with a contemporary twist during this performance. 12-13 Feb. $35. Listen to the Singapore Chinese Orchestra perform an original score during a screening of Ruan Lingyu's 30's silent film The Goddess. 15 Feb. $38-$68. 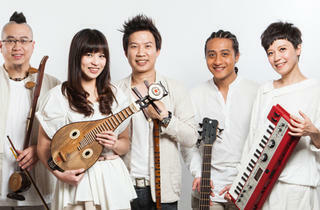 The indie rock band from Taiwan comes to town for Huayi 2014, fronted by lead singer Apay - a solo artist in her own right. 11 Feb. $25. Expect nothing less than spectacle, big riffs, epic choruses and, you guessed it, lots of colour from this Hong Kong rock supergroup. 12 Feb. $25. Listen to this talented Taiwan based harpist, singer and songwriter, as she faultlessly blends classical music with pop. 13 Feb. $25. Watch this fusion jazz quartet mix traditional Chinese instruments, Western elements and jazz melodies to create something truly unique. 15 Feb. $25. 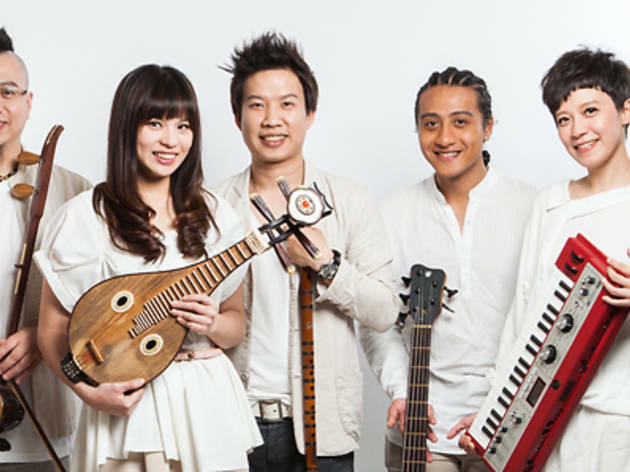 The Taiwanese pop quartet will be performing their harmonious blend of folk songs and catchy tunes from their 2013 debut album. 16 Feb. $25. A friendship is put to the test due to a piece of modern art in this comedic play that observes the complexities of male relationships. 7-9 Feb. $35. This acclaimed Mandarin production from Taiwan's Performance Workshop spans eight hours and puts the audience in the centre of things with a 360 degree stage. 6-9 Feb. $48-$148. There's nothing ordinary in this choreographic extravaganza, which has dance divas from Taiwan and Singapore moving to the rhythms and rhymes of crosstalk. 16 Feb. $35. Heartbreak and betrayal ensues in this play after a kind-hearted heroine disguises herself as a merciless man to avoid being taken advantage of. 15 Feb. $38-$108.